Keep your favorite ice cream, gelato or sorbet at the ready for you to dive in to. 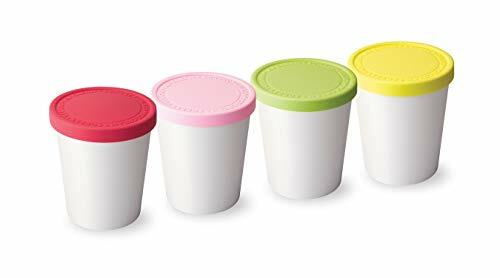 Our set of 4, Mini Sweet Treat Tubs hold 6 ounces and are great for portion control or for letting everyone create their favorite mix-ins to add to homemade frozen desserts. The silicone lids go on and off easily and keep your homemade treats fresh. Go ahead, eat straight from the tub, we won’t tell.